Varigauge carrier bags are produced in quantities of 1,000 plus. They can be produced from a variety of base material colours and printed up to 6 colours in total (that's for both sides, so could be all 6 colours on one side, or 5 on the front and one colour on the back). Plates are usually prices per colour. The average printing area for these bagsallows for a few inches gap around between the edge of the print and the edge of the bag or handle. Due to the printing method, the material does move around on the press a little and as such a small tolerance for printing position should be allowed. For a standard size 15"x18"+3" varigauge carrier bag, the maximum printing area is 12"x12" in the centre of the bag area below the handle. It is not possible to print inside the base gusset on this style of carrier bag. Our Company design and supply custom red varigauge carrier bag. 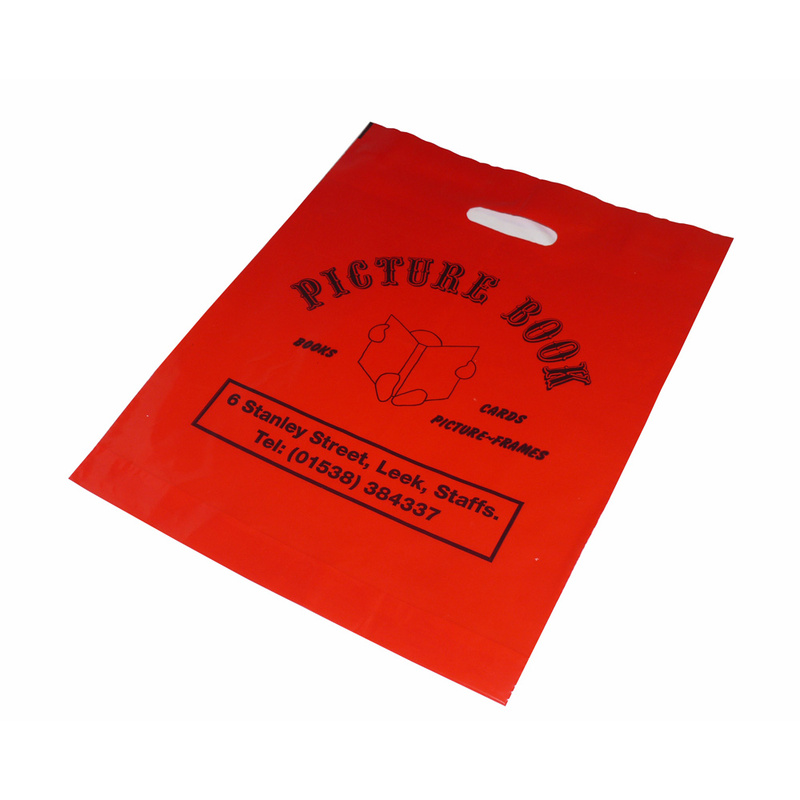 Our in house sales staff have the knowledge to help customers buy the right red varigauge carrier bag. For choose by material or different styles of , contact our offices using the above details.